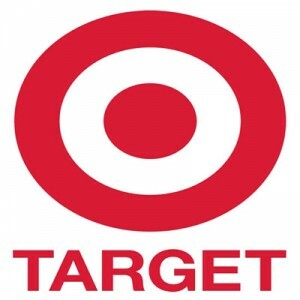 One of the largest discount stores in the United States, Target Corporation boasts the widest offerings from beauty and health products, gardening supplies, groceries, appliances, clothing and accessories to electronics Target has it all for you. The company operates a consolidated family of brands such as the SuperTarget hypermarket, CityTarget and TargetExpress flexible format branches. Now operating on a nationwide scale, the superstore chain traces its roots from its predecessor – the Goodfellow Dry Goods that was established by George Dayton in 1902. The company went through several name changes until Target reached the status as the highest-earning department of the Dayton-Hudson Corporation in the 1970s. This heralded the introduction of the brand eventually renaming the entire corporation after it in the year 2000. The superstore giant operates in over 1,834 stores and 39 distribution centres nationwide in various retail formats inspired with its clear focus on chic, millennial shoppers as its target consumer market. Its headquarter complex is located in Minneapolis hosting 14 stories of office and retail space. Largely known for its philanthropic endeavours, the company was ranked 22nd in the “World’s Most Admired Companies” by Fortune Magazine in 2010 owing to its magnanimous charitable donations. The retail chain also launched an initiative centering on diversity called “All Together Target” with a purpose of promoting commercial partnerships with entrepreneurs, contractors and small-scale vendors owned by women or ethnic minorities. Employing over 323,000 workers nationwide, the company has a labour-friendly record especially after declaring a minimum wage increase to $9 per hour following Walmart’s minimum wage raise announcement in 2015. Recently, the store management pledged to raise the minimum wage to $15 ‘living wage’ rate by 2020 pleasing labour advocates across the world. Needless to say, the retail chain has a very competitive pay coupled with some of the best benefits package in the retail industry. Its employee benefits offer a wide range of services from health, career planning, education resources, one of the best retirement plans, and excellent life insurance package among others. The company has built a good reputation as one of the best places to work in the country. It is known to value fun, collaboration, and creativity among its employees while empowering them to strive towards becoming the top retail teams in the business. The company is also conducive for career growth with most of its top management and mid-level supervisors beginning their careers from hourly positions. In general, the company accepts applications from the minimum hiring age of 16 years old. This may vary depending on the labour laws applied by the state where you are applying and the position you are applying for. Administration/Clerical Staff: Administrative and clerical staff are designated in distribution centres. They are in charge of managing the store’s daily paperwork, reporting, and invoice processing. Beauty Associate: Beauty associates provide assistance to customers on beauty products sold in stores. You can also provide advice on the latest beauty and fashion trends especially for the younger customers. Human Resources Associate: Human resource associates are tasked to provide support for training, organizational development activities for the store team. Logistics Staff: Logistics staff members are responsible for maintaining the sales floor stocks while keeping with the supply demands of guests and responding to team member requests. Assets Protection Staff: Assets protection staff members take on the role of minimizing theft and maintaining store products clean and safe. Food Service Staff: High-quality, clean, safe, and fresh food products are served with a pleasant smile by food service associates. Sales Floor Associate: Sales floor associates are responsible for providing customer assistance while maintaining cleanliness in their designated areas. Price & Presentation Staff: Staff from this department place pricing tickets, labels, and signs on all products found in the store. It is also the staff’s duty to ensure that all price tags are accurately delivered. Leadership: Leadership positions are also available – responsible for managing a team while also taking the time to relate and engage with customers directly. Food and Beverage Staff: Food and beverage employees are focused on providing the best service through quality presentation and convenient placement of food and beverage products. How to Apply? You can apply at Target through various methods. Through E-HR as part of the field team, you can go to the corporate website and click ‘My Job Opportunities.’ For headquarters team members, you can go to ‘Job Postings’ and search for available positions. After submission, online applicants will receive an email prompt confirming the application submission. Applicants can monitor the status of their applications online by logging into their account and going to the ‘My Jobpage’ panel.Onsite applications are also accepted in selected branches near you. Application online is available. Application can be done through the company’s corporate website or through onsite methods. Tips for filling application form. Filling out the application form is fairly easy. For online applicants, you will be asked to create a profile in their system along with a valid email address for confirmation. You will be asked to share background information on your educational attainment and job history through an online portal. In case of your account getting locked, simply wait for one hour before it resets or you can also opt to click the ‘Forgot your Password’ hyperlink before logging in. For other concerns, you can contact Guest Relations at 1800-440-0680. Advice on resume. Online applications don’t require applicants to send their resume. Once you create an account, the online portal will ask you to input pertinent details about your job history and education selecting from a variety of schools, institutions, employers, business types, etc. so HR can properly screen incoming applications. Advice on interview preparation or process. Once your application has been reviewed and you are selected for interview, a company representative will contact you through email to set an appointment. Interview questions generally revolve around personal background, previous employment and educational records. The first store of Target ever established was in the suburbs of Minneapolis in 1962. Back then, the retail corporation focused on convenience and cheap prices for its customers. The company’s vision involved creating a one-stop-shop for all consumer concerns shaping what the company is today – one of the largest discount retailers in the country. 1 How old do you have to be to work at Target?